Sonia Marie De Lèon de Vega, who has been exposing children to classical music in the Los Angeles area, will present a México Sinfónico Event to Showcase Music of Great Mexican Composers. LOS ANGELES, CA - Sonia Marie De Léon de Vega is the music director and conductor of the Los Angeles-based Santa Cecilia Orchestra (SCO), the only orchestra in the nation with a specific mission to expose classical music to Latino communities. 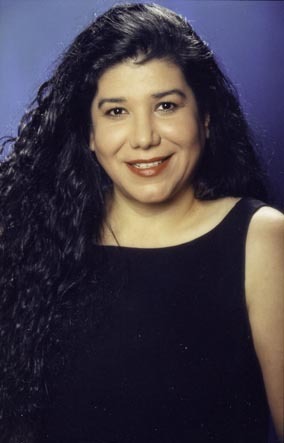 Maestra De Léon de Vega is celebrated in education circles for creating the Discovering Music Program in 1998, a two-year program that is currently offered in 18 elementary schools throughout Los Angeles. The program has touched the lives of more than 40,000 students in 35 schools through the power of music education. Due to its success, Discovering Music has been expanded to include a string program that offers free violin lessons throughout the school year and a mentorship program in middle schools. Sonia, of Mexican descent, was born in San Antonio, Texas and is the daughter of actress/producer Sonia De Léon and singer/guitarist Reynaldo Sanchez, who are San Antonio natives. At the age of four De Léon de Vega moved to Los Angeles, California, where she was raised and began her musical training becoming an accomplished pianist and organist. While always distinguishing herself academically her graduate studies led her to love and specialize in conducting studies with Dr. David Buck. She also trained at the Herbert Blomstedt International Institute for Instrumental Conductors and at various American Symphony Orchestra League workshops with Otto Werner Mueller, Maurice Abravanel, Pierre Boulez, Andre Previn, Zubin Metha and Ricardo Muti. On May 22, 2011, Santa Cecilia Orchestra will play México Sinfónico! This 80-piece symphony orchestra event will showcase the music of great Mexican composers and with great pride, will present Daniel Catán, Mexico’s pre-eminent living composer. The symphony orchestra will also include 14 percussionists to perform Silvestre Revueltas’s La Noche de los Mayas. “The Night of The Mayas” hurls itself at an audience like a Mexican Rite of Spring. Extravagant sonorities, panoramic scene-painting, and driving rhythms abound in this magnificent work. Que Viva México!